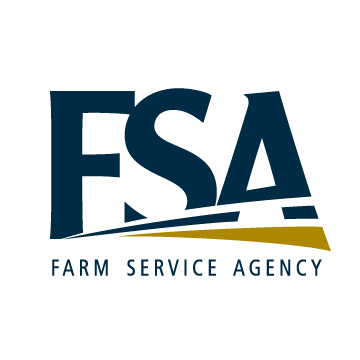 If the Farm Service Agency (FSA) sounds as if it might be some forgotten holdover of the alphabet-soup New Deal of nine decades ago, there is good reason. Although it was formally instituted only in 1996, during the last months of Bill Clinton’s first term as president, it harkens back to several programs of the US Department of Agriculture, within which the FSA is housed. Among those initiatives of old were the Farm Security Administration, under whose auspices we have those haunting photographs of the rural Depression and Dust Bowl years, and the Agricultural Adjustment Administration, which paid subsidies to farmers to keep crops and livestock off the market, driving prices upward to yield a profit for other farmers whose produce did go up for sale. The modern FSA borrows a bit from each of them, as well as other New Deal efforts, in order to accomplish its chief mission: to keep farmers on their farms by offering low-cost loans, grants, and other incentives. A dairy producer in North Dakota might approach FSA for a loan after a loss suffered in a fierce winter snowstorm. So might an avocado farmer in California in danger of losing income to drought–or even a young urbanite deciding to go out on her own and grow, say, boutique chickens and lavender in Massachusetts. Indeed, the FSA is responsible for administering loan and grant programs that account for the greater portion of its $15.8 billion operating budget in 2016. That’s a substantial amount of money, and to administer it the agency works from a far-flung network of more than 2,300 field offices in every state, including some locations that might seem unlikely: there’s an FSA office in the Bronx, for instance, and another in suburban Detroit, and even one on the idyllic tropical island of Kauai, in the westernmost reaches of Hawaii. That the FSA operates there as well as out in the wide-open spaces of Oklahoma and South Dakota is an indicator of not only the prevalence of agriculture in the national economy, of course, but also the reach of the government into every corner of that enterprise. Because of this reach, to say nothing of all that money, the FSA is under close scrutiny on all sides. Not long ago, liberal health advocates chastised the agency for giving grants to tobacco farmers in the South, their objections based on moral rather than strictly economic arguments. By the same token, conservatives were outraged when it was revealed some years back that Hollywood actors, who ran what seemed to be hobby farms, were pocketing federal subsidies. Like many agencies throughout the government, FSA has been slow to modernize its IT system to streamline access to farmers, and it shared some of the responsibility for the mismanaged MIDAS (Modernize and Innovate the Delivery of Agricultural Systems) program, shut down by USDA Secretary Tom Vilsack last year after running $140 million over budget with little to show for it. Headquartered in Washington, DC, with a large data center in Kansas City, the FSA has suffered substantial cuts in budget has staffing over the last 20 years. In 1997, the agency had more than 17,000 employees; today that number is about 12,000, and, a recent agency report warns, by next year more than half of that workforce will be eligible to retire. “New human capital initiatives designed to seek, strengthen, and retain high quality personnel are imperative to FSA’s ongoing ability to achieve its mission,” the report concludes—which, translated, means there will be job opportunities for those people with the proper training, including, it would seem, knowledge of IT operations. Though farmers across the country are well aware of its activities, FSA is not widely known outside the agricultural sphere. Yet its sizable budget and sizable footprint make it worth knowing about—and there are plenty of opportunities to do business with FSA in every state of the Union.